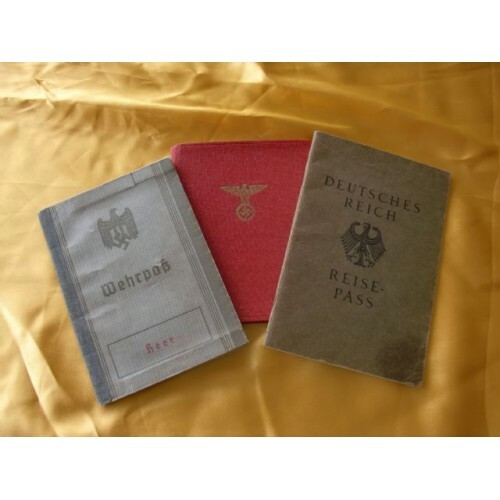 NSDAP Membership book, Heer Wehrpass, and Deutsches Reich Reisepass to Fritz Korthauer. Excellent condition to all and complete as shown. Wilhelm Urbas was a metal worker from Weiden. 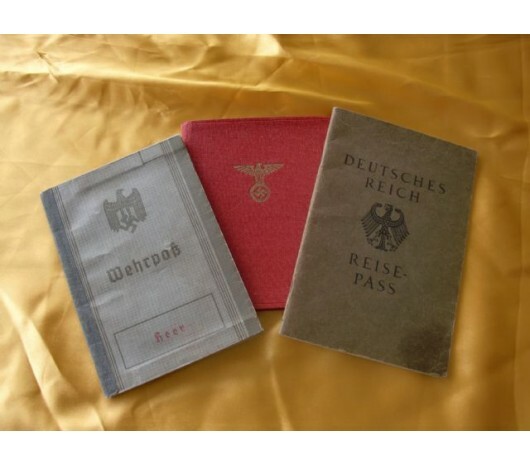 He was born in Regensburg on 5th Oct. 1895 and entered the party on 1. May 1935. Other papers shown came with grouping too.